As in extreme weather. The conference. It may have started out sunny, but we did have a serious little storm with some lightning and thunder, so we brought the conference in from the rain. I volunteer for field trips. 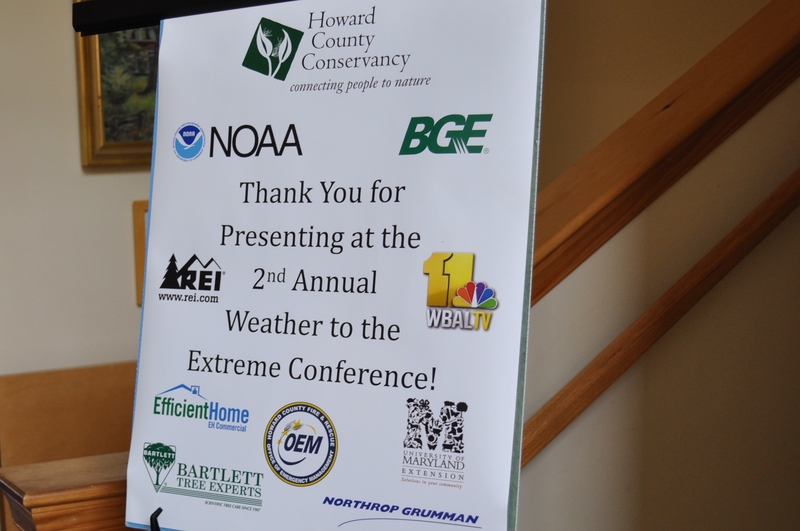 This one, for ninth graders from four local schools, was the second year the Conservancy hosted all sorts of stations and presentations about extreme weather. Want to know about power lines, and why you should be really careful around them? 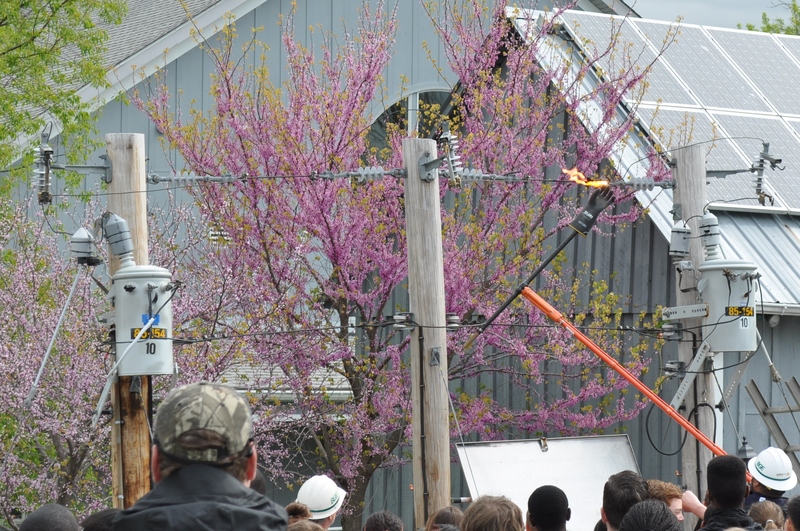 Let BG&E demonstrate what happens when live wires come in contact with ladders, poles, and gloves. Oh, and they roasted a hot dog for the students. I missed that picture. 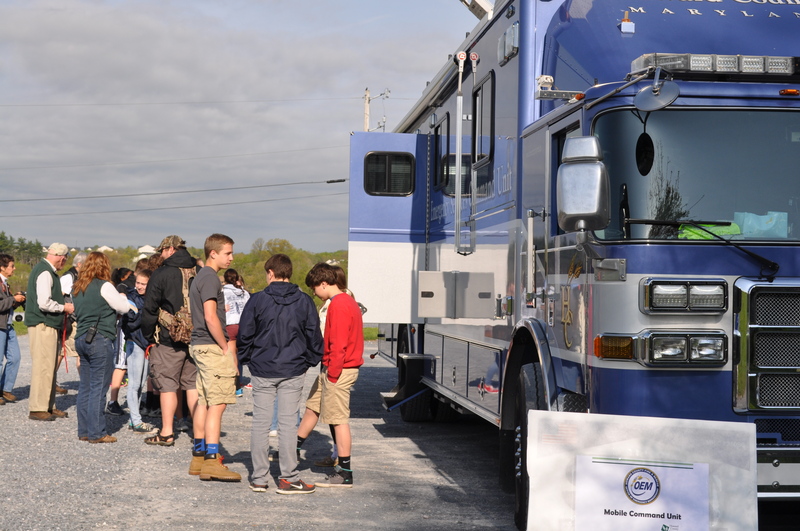 At that point, we were checking the clouds rolling in and using the resources around us, including the Office of Emergency Management’s Command Unit. I am always impressed by the thoroughness and the complexity of events hosted by the Conservancy. From Ava Marie’s opening remarks to the presentations all over the grounds, and the learning activities, and the displays, this was another chance to engage the community and have a fun day as well. 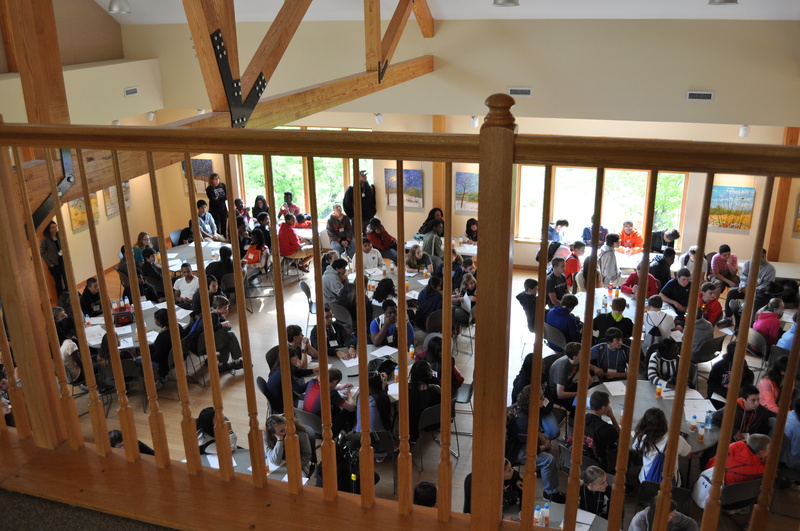 It was a pretty full house, and most of the students seemed to be intrigued and interested in what they were learning. If only Mother Nature had cooperated and didn’t make us cancel the last session, as thunder roared and cloud to ground lightning was seen in the western sky. Oh, and getting back to the buses while it poured rain. Just what we are used to seeing around here. Wait a few minutes and the weather will change. I love my volunteer “job”. We are never too old to stop learning, and sharing knowledge is even more rewarding. 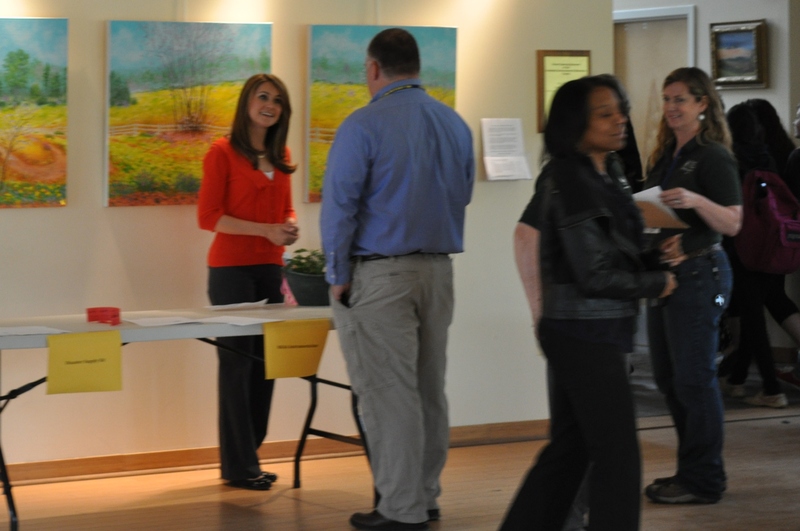 Congrats to Ann Strozyk and all the volunteers today, for putting on this conference for over 100 students. Posted in Adventures, Community, Howard County, Nature, Retirement, Volunteering, Weather and tagged community, Howard County, howard county conservancy, nature, volunteering, weather. Bookmark the permalink.